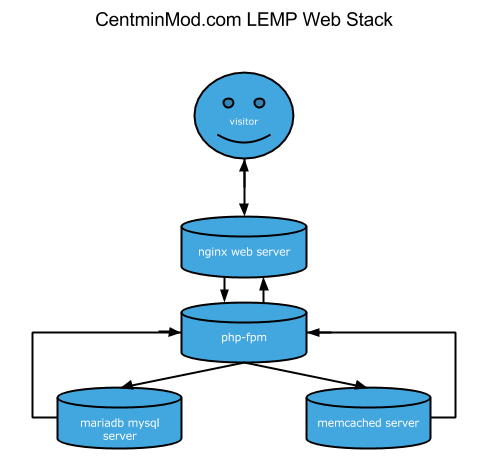 What is Centmin Mod LEMP web stack? Traditionally, such LEMP web stack's software is manually installed one by one and then configured for serving web site's files and data to visitors. This manual process can take hours to do from installation and then to configuring and optimising each component of the web stack. 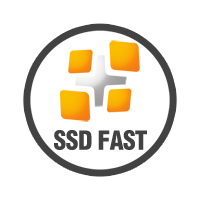 Centmin Mod LEMP web stack auto installer takes the manual work out of the process and fully automates most of install, configuration, base optimisation and best recommended practices and settings for CentOS, Nginx, MariaDB MySQL, PHP, CSF Firewall security and other installed software. The whole process is done via the core centmin.sh shell based script which can install Centmin Mod via a curl one liner install method. Centmin Mod does not have a web gui panel but rather allows the admin/owner to manage their server(s) on the SSH command line with added convenience of a shell based menu for commonly performed tasks. Linux - Linux operating system. In Centmin Mod's case CentOS Linux. 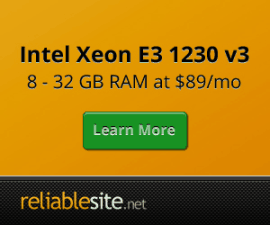 Nginx - pronounced Engine-X is the web server listening on port 80 (HTTP) and port 443 (HTTPS). Nginx is what visitors visiting a web site interface with first as Nginx serves the data hosted on a web site to visitors. Nginx is much more than just a web server - see nginx.org for more details. Sometimes LEMP is refered to LNMP stack wher N is Nginx. MariaDB MySQL - MySQL database server fork, MariaDB. MySQL is an open source relational database server that listens on port 3306 by default and holds database data which is queried and written to by MySQL clients such as PHP. PHP - a server sided scripting language [wikipedia]. Centmin Mod compiles PHP as PHP-FPM (FastCGI Process Manager) which listens on port 9000 by default which can communicate with MariaDB MySQL database server to retrieve and store web site data.